In June 2005, four U.S. Navy SEALs left their base in Afghanistan for the Pakistani border. Their mission was to capture or kill a notorious al Qaeda leader. Less then 24 hours later, only one of those SEALs remained alive. 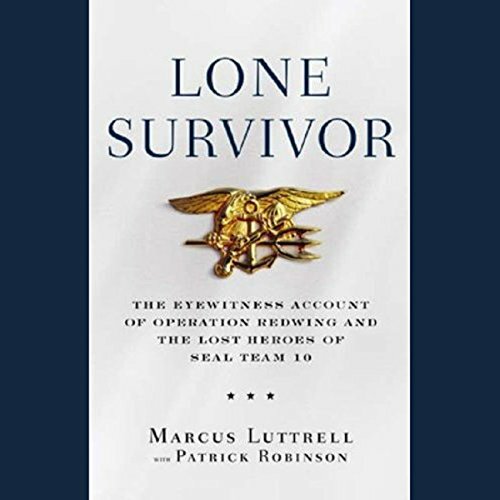 This is the story of team leader Marcus Luttrell, the sole survivor of Operation Redwing and the desperate battle that led to the largest loss of life in Navy SEAL history. 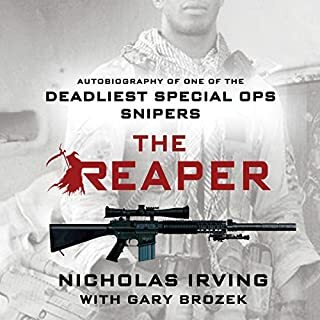 More than anything, this is the story of how his teammates stood beside him until he was the last one left - blasted unconscious by a rocket grenade, blown over a cliff, but still armed and breathing. 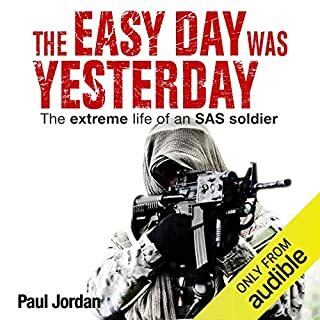 Over the next four days, badly injured and presumed dead, Luttrell fought off six al Qaeda assassins who were sent to finish him, then crawled for seven miles through the mountains before he was taken in by a Pashtun tribe that risked everything to protect him from the Taliban. In this moving chronicle of courage, Marcus Luttrell offers one of the most powerful narratives ever written about modern warfare. fantastic book and read by a great person. 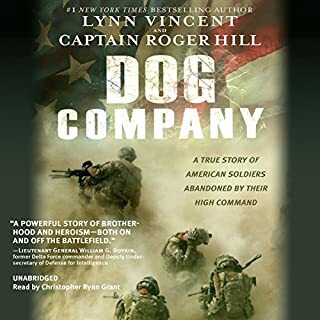 very sad story but true account from a hero that's doesn't want to be know as a hero. a true SEAL!! Best book ever, The king james and lone survivor are in my heart allways. 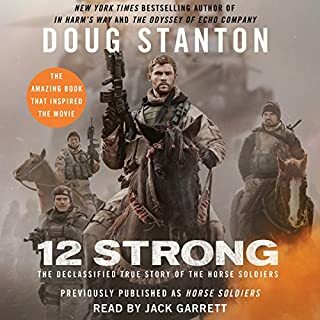 I've read this book twice, listening to it on Audible has been great. I will definately be listening to this book again. 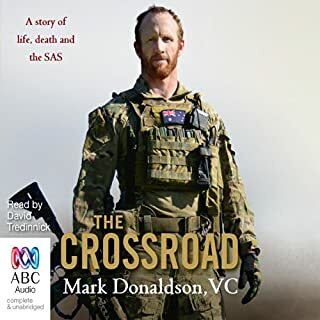 Amazing account of the toughest warriors displaying unbelievable courage, and not giving up until they breathed their last. Those Pashtun people in this story amaze me too, they also display a care and selflessness we can all take account of! Straight to the battle. Only a little bit of lead in about Marcus's beginnings then straight to the battle. Did not glam it up. A on edge story of true courage and bravery! A must have story. A tribute to those men. Awe inspiring and heartbreaking at the same time. Love audible. Makes my car trips so much more easier. The story flew by with great anticipation for what would happen next. Great insight into the story of a SEAL. are willing to make such horrendous sacrifices so that we can continue to enjoy our freedoms. But I absolutely enjoyed the book, and the Kevin T.
Collins narration was just perfect. There is not enough ways to thank Marcus and all the others that put their lives on the line for the American people. I admire them greatly and tell that to every soldier in uniform that I meet. I have several family members serving in Iraq, all with tremendous stories of heroism and survival that they tell. But I do have one discomforting issue with the way this story is told. This writer sometimes comes off to me as a mindless parrot spouting off silly military and Christian propaganda slogans. I understand in every war each side portrays the other as heartless, pagan, warmongers. We dehumanize them and they do it to us. That way we’re not killing people, just inhuman scum. Some of the naive comments about the atrocities of the enemy and the syrupy “God and Country” speeches read like WW2 American propaganda stories. Surely Vietnam taught us that the American public can handle the tough moral issues that are interwoven into any conflict. Surely we know this conflict, this war, is not going to be won by trying to kill all the bad guys and argue over whose god is the strongest. As we kill the terrorists we need to come to grips with the causes of this conflict and try not to let history repeat itself. Sure, that’ll happen! I&#8217;ve never written a review before, but I felt compelled to do so after listening to the Lone Survivor. I thank God everyday for men like Marcus and his brothers in arms. It&#8217;s these men and women that make our country stand strong. I&#8217;m so proud of our military and I would like to thank them & their families for their sacrifices. This book is definitely high on my list of favorites. It&#8217;s wonderfully written from beginning to end. You really connect with Axe, Micky, Marcus, and Danny. I felt such sorrow when they were killed, and so proud of Marcus for never giving up. I enjoyed this listen very much. Marcus is an impressive human and this is a great story about the people who put it on the line for all of us here in the USA. My only knock is he doesn't understand liberals at all and his politics full of hate for his fellow americans, That made me sad for him. Remember Marcus you fight for your buddies first, then Family, then Texas and then all of us. ALL of us, not just the conservatives you greatly admire like President Bush. Remember liberals are Americans no more or less than you are an American. You should have killed the goat herders and that is coming from a liberal. I hope you read this review, I'm darn proud of you and your fallen friends and patriots! 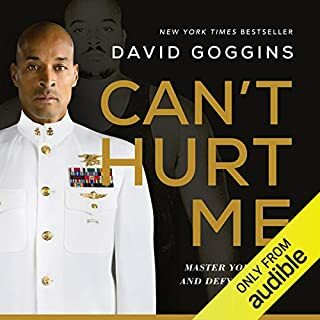 I have read stories that spoke of the incredibly tough training that Navy Seals go through - stuff that makes Marine Corps boot camp look like a Sunday School picnic. This is the first story I've read that showed the fruit of that training in a real under fire situation. 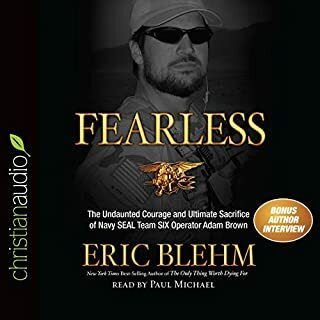 The courage and toughness - both mental and physical - displayed by the Seal team in this book is impressive, even to this Marine, who isn't easily impressed. 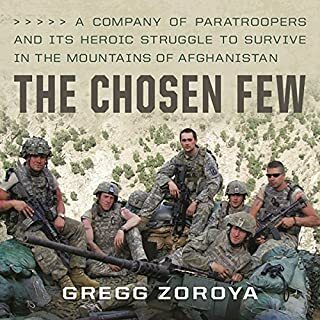 Just as impressive were the Afghani villagers who risked everything - more than pretty much any of us would - to protect the Lone Survivor until he could be rescued. 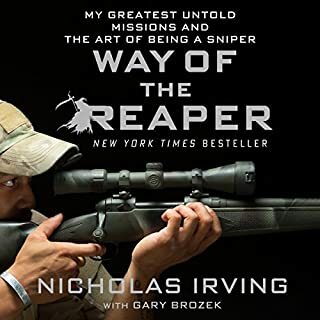 This book works very well in terms of a cultural geographical text and a combat survival story. Add in an element of how the writer's faith in God helped him in interesting ways through the ordeal, and it's a story that can be enjoyed on multiple levels. This one goes on my list to listen to again. To think this is a true story is nothing short of astonishing. Few stories have recounted such dramatic heroism and raw courage by the elite soldiers of our armed forces. Marcus Luttrell and his comrads fight "for real" against odds that we usually only see in fictional stories. It's no wonder Hollywood producers were themselves fighting for the rights to the movie, due out in 2009. Most of the book felt like an "edge-of-your-seat" suspense drama--I couldn't put it down. Luttrell and his team portray virtues we often aspire to---perseverence and courage in the face of unbeatable odds and danger, unwavering loyalty to each other and country, and tenacious effort in training to be the very best at their craft. Can't wait for the movie! This is one of those stories that might be better as an audio book than reading the book. Outstanding narration. 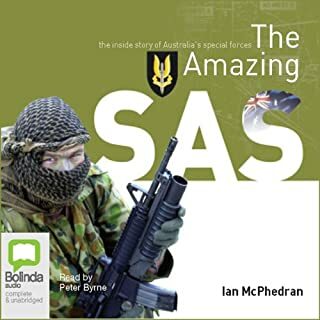 The first part describes the selection process and arduous training for the SEALS. 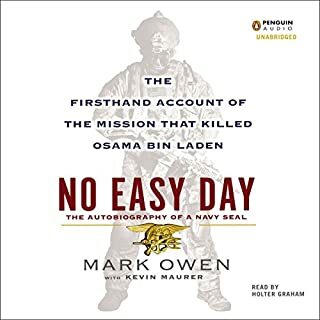 The account of Operation Red Wing was phenomenal. These four men showed such determination, loyalty to each other and courage against insurmountable odds. One member of the team is the first recipient of the Medal of Honor in Afghanistan. 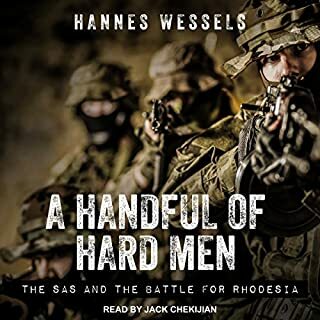 The author is not bashful about sharing his insight into the political meddling into war operations,rules of engagement and the sad consequences. 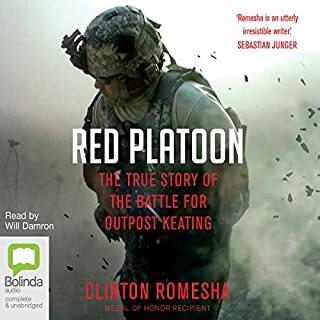 Would you consider the audio edition of Lone Survivor to be better than the print version? 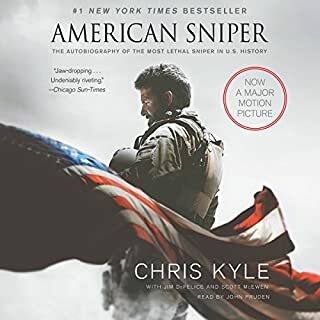 What other book might you compare Lone Survivor to and why? Cry. It is hard not to because of what Marcus and his team went through. I will read the actual book now. Didn't realize that this was the abridged version. Wow, what can I say about this book to make you run out and read it? Marcus is in every sense of the word an "American Patriot" at it's best. 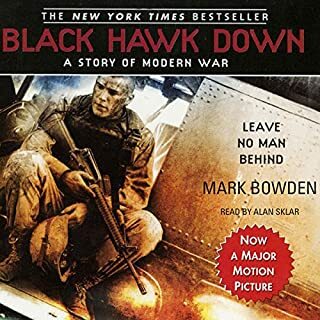 The bravery, the loss, the pain, the fear, the courage and appendages as big as bowling balls of Marcus Luttrell make this book a don't put down until you finish it kind of book. For those who have strong opinions about President Bush, the media or killing, you probably won't like this book, but read it anyway. With that said I am one of those bleeping liberals Marcus speaks so highly of (wink). It simply did not stop or deter me from reading on or take away from the punch of this book. I absolutely support our armed forces and all that they stand for. So even though I support my political party I am also bright enough to see both sides of an issue and respect every persons opinion as just that an opinion, we all have em. Marcus and all men and women like him put their lives on the line for "us' the people of the United States of America; Democrats, Republicans and Independents everyday and I for one appreciate them. No matter what your feelings about the war are, Marcus' words will make your heart swell with American pride, your belly ache for what he went through and make your eyes brim (if not full out cry like I did)with tears for the pain he endured physically and the pain of heartbreak for the men he loved like brothers. Marcus manages to slip in his sense of humor which helped the ache in my belly on more than one occasion. I have children; I can only imagine what his parents and brother were going through. It seems so inadequate but Thank You Marcus I as one of the "People of the United States" will hold you and all the men and women who serve, past, present and future, and those who have lost their lives in service to our great country in my prayers today and always. I'm British and I admire all who are in the forces. This story is a testament to all those heroes who fight the war on terror. The well placed humour was an added bonus. 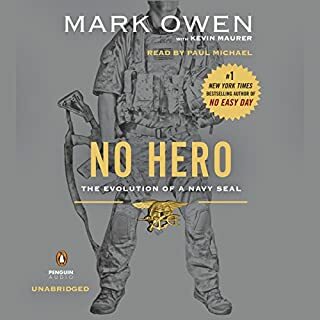 This book is a fitting tribute to the three men (not forgetting the other SEALs) who fought heroically to bring one lone survivor home. 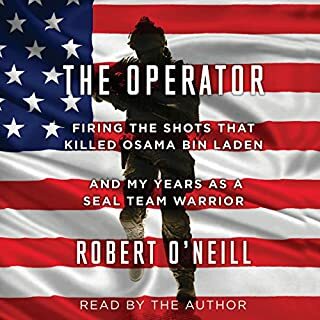 I have attended a talk by Marcus Luttrell, and I think Kevin T Collins does a great job of replicating the voice while talking with clear diction so after a few minutes I could really imagine that it was Luttrell I was listening to. That said, there's more to the story and background of Luttrell than is presented in this version, so an unabridged version would appeal to me too. I'd like to hear more about the Why? aspect of the things that happen here, beyond the sheer patriotism and determination to succeed, but what is presented is a great story. I have seen various criticisms of the paperback version on Amazon, but I think this is a fair representation of the thoughts of a man who lived through something that most of us cannot really imagine without his own testimony. You may disagree with him, but this seems honestly enough presented. The one thing that I miss in audiobook format, and it would be great if it could be arranged, is some form of graphic download of a map, or photo, or diagrams of the geography involved. It's hard to get a sense of the distances covered, or the relationship of the towns or army bases or hills and mountains. So although there is a lengthy description of a fight and falling down hills, I don't really have an appreciation for where the places are that the various things happened. loved it. i really want to shake hands with him. would be an honor to meet a real hero and a true patriot! Hard to believe this actually happened, exciting story that is well narrated. Definitely worth a listen. Seen the film. But found this just brilliant. Couldn't wait to get back listening to it! Well read felt like it could have been Marcus himself. This is an amazing story with the will and determination of a man who quite possibly, defied all odds of survival and was able to bring this story to us. Marcus Luttrell is a true American hero. This is an amazing true story and great to have a better understanding from the view of Marcus luttrell. 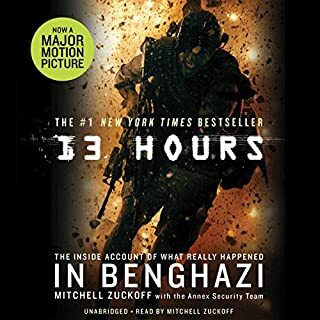 I would definetly reccommend this audio book.